The Bulgarian center of Bansko was the theater of 2 WAKO referees summer camps. 27-30th July 2018: in Bulgarian summer and winter center Bansko, Bulgarian Confederation of Kickboxing and MT hosted second WAKO International Summer Referee Camp for tatami referees and first WAKO International Summer Referee Camp for ring referees. Bansko is in the south-western part of Bulgaria, 160 km from the capital of Bulgaria, near Pirin Natural Park, under mountain range Pirin with highest point Vihren (high 2914 m). 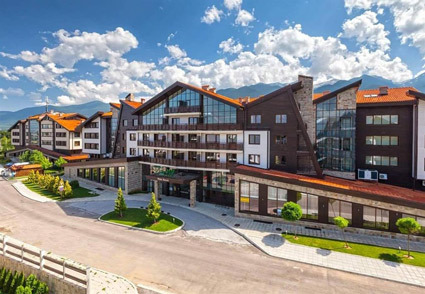 In the beautiful hotel Pirin House in Terra Complex, the 2nd WAKO International Summer Referee Camp for tatami referees was held with 67 WAKO referees from 21 countries (18 domestic and 49 from Belgium, Bulgaria, Croatia, Czech, Great Britain, Germany, Greece, Hungary, Ireland, Israel, Italy, FYR of Macedonia, Netherlands, Norway, Poland, Russia, Slovenia, Spain, Sweden and Ukraine - 23 women and 44 men). During 4 days of seminar, referees rehearsed their knowledge of theoretical and practical rules and analyzed several problematic cases from previous WAKO Championships. The seminar was led by Brian Beck - Chairman of WAKO Tatami Referee Committee, the lectures were held by Brian Beck, Karl Wilson, Manuel Doria, Ivo Vodopivec and Gina Engelhardt-Aué. Alex Engelhardt presented the SportData computer system. From 1. to 3. August, in same hotel, the 1st WAKO International Summer Referee Camp for ring referees was held. 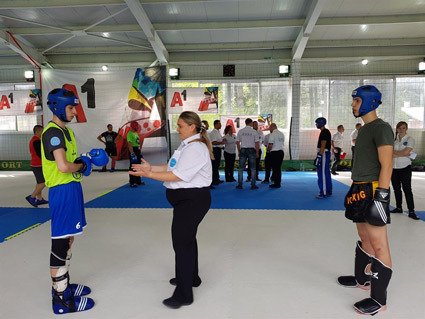 At this second part of camp participated 61 WAKO referees from 15 countries (14 domestic and 47 from other countries - Bosnia and Herzegovina, Bulgaria, Croatia, Czech, Estonia, France, Greece, Hungary, Israel, Italy, Latvia, Lithuania, Moldova, Norway, Spain, and Ukraine - 8 women and 53 men). The seminar was led by Yuri Lakhtikov - Chairman of WAKO Ring Referee Committee, lectures were held by Yuri Lakhtikov and Romeo Desa, and the practical part by Yuri Lakhtikov, Marco Pacor and Tomislav Novosel. Organizers of the first part of seminars were Ivan Ivanov, Denitsa Milenkova, Ivan Georgiev; the organizers of the second part were Georgi Georgiev, Dimitar Spasov, Stanislava Boytcheva and Ivan Georgiev. They provided great organization and hospitality for all camp participants. 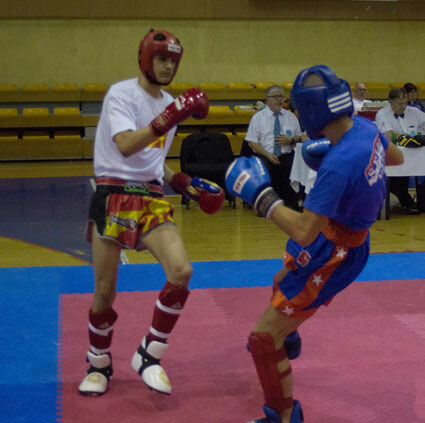 Kickboxers from Bulgaria participated for the purposes of practical parts of the seminar. The clubs present for the tatami practical lessons were Ikken, CSKA Sofia, Skaptopara, Optix, Aabc and Aris. For the ring practical lessons we had the following clubs: Armeec, Boil, Patriot, Pride and Glory). The athletes were all very patient and tireless, and demonstrated to be excellent presenters of various problematic situations where referees and judges practiced their skills. At the end of all demonstration exercises, the young Bulgarian kickboxers received a great applause from all the participants. Upon invitation of the organizers, both seminars were attended by Romeo Desa - Special Adviser of WAKO President and WAKO Europe Board Member, who held several meetings and talks with WAKO Referee Tatami Committee and committees' chairmen Brian Beck and Yuri Lakhtikov. During those meetings several things about rules, rule's changes, procedures of changes, future improvements of camp and seminars were discussed, as well as the cooperation between WAKO Organizing and Referee Committees on WAKO Championships. All referees were very satisfied with all what was prepared and organized by the local organizers, they gave all the best marks for seminars, new knowledge, programs of seminars, presentations and practical lessons, accommodation and food in a beautiful hotel. All promised "we will come next year". Also, very important to emphasize, Bulgarian federation was sponsor of both events, without its financial support it would be hard to organize both camps in this successful format. To all of this, both WAKO Referee Committees thank Bulgarian kickboxing and MT confederation as well as members of the local organizing committee. * WADA’S 2019 ANNUAL SYMPOSIUM that will be held from WEDNESDAY, 13 MARCH TO THURSDAY, 14 MARCH 2019 at the SwissTech Convention Center in LAUSANNE, SWITZERLAND. The WADA Symposium, which is the main event on the annual global anti-doping calendar, is a unique and practical event that offers anti-doping stakeholders the opportunity to gather, interact and learn from one another. The Symposium is designed for anti-doping practitioners from International Federations, National and Regional Anti-Doping Organizations and Major Event Organizers; representatives from Governments, Athlete Commissions, WADA-accredited laboratories and Athlete Passport Management Units; as well as, other stakeholders such as the media, researchers and service providers that are integral to clean sport. Contrary to recent years, the Symposium will be carried out over two versus three days. This is due to the fact that the Symposium agenda will primarily be focused on the 2021 World Anti-Doping Code and Standard Review in the lead up to the World Conference referenced below. More details regarding the Symposium, including a draft agenda and logistical information, will be provided when registration opens during the fourth quarter of 2018.
noted that on Monday, 4 November, the Agency’s Executive Committee will hold a closed meeting; and, on-site delegate registration for the Conference will open. Representatives from the Sport Movement, Governments and National and Regional Anti-Doping Organizations; along with, Athletes, their entourage, the media and other anti-doping experts will converge in Katowice to take stock of the evolution of Clean Sport; and, engage in high-level discussion and debate about the global anti-doping program, its practices and processes. Among other major decisions during the Conference, WADA’s Foundation Board will approve the 2021 World Anti-Doping Code. On 4 June, WADA launched the second of a three-phase 2021 Code Review Process, which also involves review of the International Standards, for which the Agency is soliciting stakeholder feedback by 14 September 2018. Following approval during the World Conference, the revised 2021 Code and Standards will take effect on 1 January 2021. More details regarding the World Conference, including a draft agenda and logistical information, will be provided when registration opens during the first quarter of 2019. Please be sure to save the date(s). 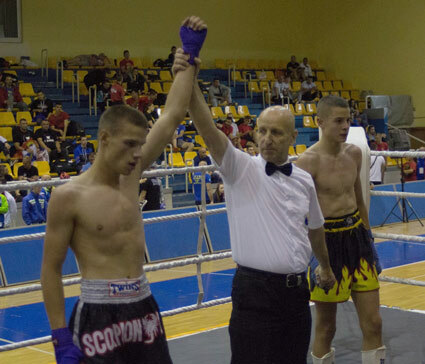 14th WAKO Balkan kickboxing championships, held from 22-24th June 2018 in Sarajevo, Bosnia and Herzegovina, was a huge success. It was a sport summit of 8 Balkan countries, gathered to make a fantastic kickboxing championships and to strengthen the mutual relations. The organizers, Kick boxing association of Bosnia and Herzegovina and Kick boxing club “Gazija”, proved once again that are the masters of hospitality. 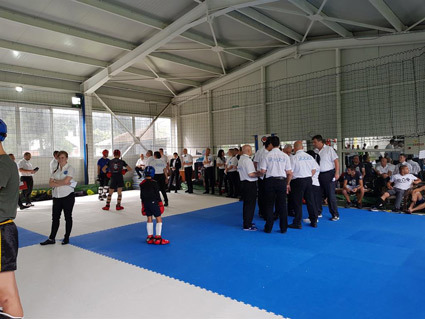 It was high classed organized championships, all WAKO standards were fulfilled and thanks to organizers representative, general secretary of Bosnian Kickboxing association Mr. Muhamed Šabanovid, all participants have been welcomed and satisfied. The competition registered 210 athletes, competing in Low kick and Kick light, in junior and senior divisions. Supervisor of the competition was Mr. Srdjan Bugarcic, WAKO Organizing Committee member and WAKO Europe Secretary, director of the event was Mr. Petar Petrovic, WAKO Balkan director, the conference was in charge of Mr. Romeo Deša, WAKO Organizing Committee member, supreme controller of judges andreferees was Mr. Nedjo Bratid. The WAKO Europe President Mr. Roy Baker was present at the opening ceremony, welcomed all participants, wishing them good fights and fair play and Mr. Vladimir Sitar, WAKO Balkan President, opened the competition. 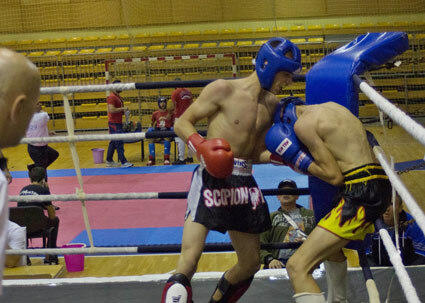 The championships showed high level of fights, especially among juniors. Not surprisingly but for sure for all praise, the juniors showed fantastic kickboxing skills and passion for fights. Very much worth mentioning were fantastic junior fighters from Macedonia. It is my pleasure and great honour to invite you to take part in WAKO EUROPEAN CHAMPIONSHIP in LOW KICK, K1 RULES and KICK LIGHT CONTACT which will be held in BRATISLAVA, SLOVAKIA from 13TH TO 21ST OCTOBER, 2018. Attached you can find Official Invitation with all important information about the Championship. Official Invitation you can also find on both WAKO Europe and WAKO IF web pages. According to WAKO rules and regulations the eligibility for the participation is reserved only to WAKO National Federation/Association members. Please, read carefully all information and if you need any assistance don't hesitate to contact us. WAKO Europe Board meeting was held on Saturday, May 19th, 2018 in Budapest. On this occassion WAKO Europe Board has made several important decisions for the future of kickboxing in Europe. Ms. Sarel De Jong (The Netherlands), WAKO candidate as The World Games Athlete of the Year 2017 - VOTE NOW! Copyright © 2019. Wako European.